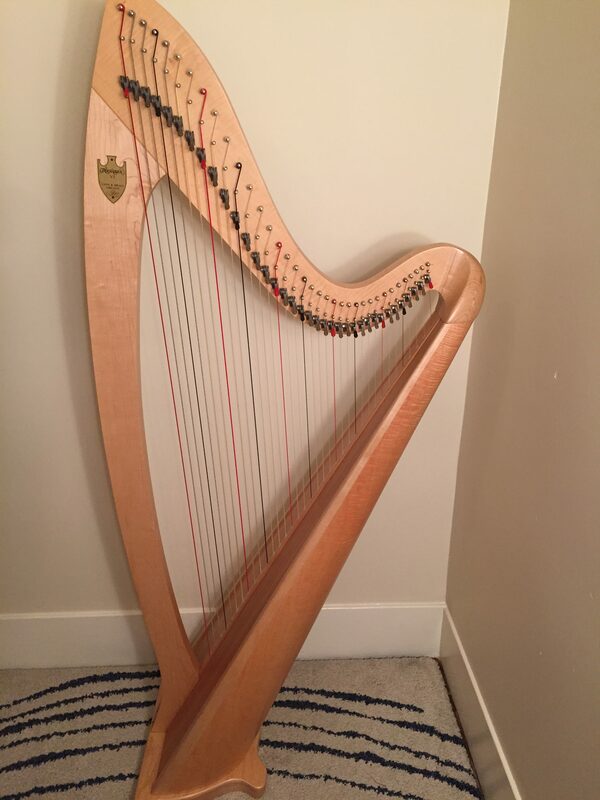 Lyon and Healy Troubadour Lever Harp for rent. Rental instrument is delivered to renter’s home by Emily Klein. The instrument can only be moved by Emily Klein. Perfect for a beginner student.